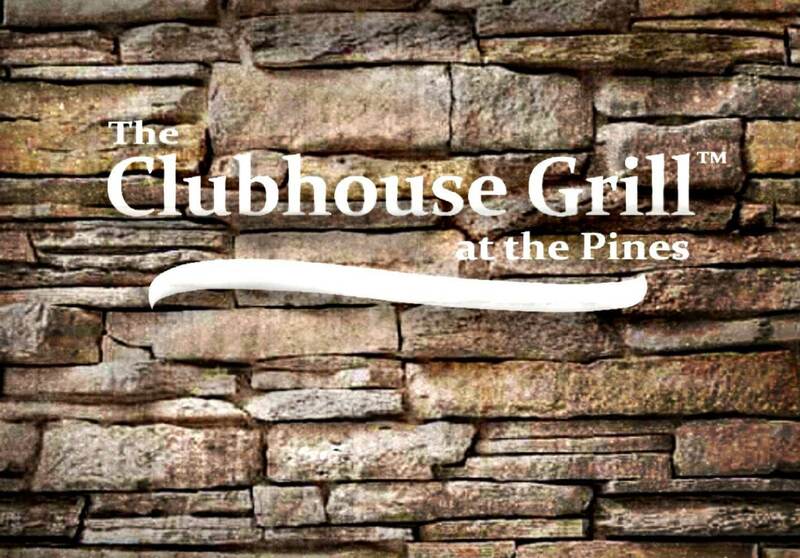 Clubhouse Grill is located at the Pines Country Club. Now serving lunch and dinner daily. Open 11am-10pm, Sunday 10am-9pm. Full banquet, event and meeting facilities available. Outdoor dining & bar. Serving steaks, seafood, stacked salads, sandwiches and homemade desserts. Sunday Brunch and holiday buffets will begin soon!